Dr. Jerome Klein, board certified in diagnostic radiology, is also a specialist in musculoskeletal radiology, pain management imaging, spine imaging, as well as in podiatry imaging. He received his medical diploma from the University of South Florida College of Medicine and completed his residency at St. Louis University Hospital, where he also underwent a fellowship program. With a practice experience of over 15 years, Dr. Klein is also a Medical Director of the AZ-Tech Radiology medical center in Gilbert, Arizona. 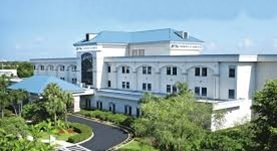 At the time, he is also affiliated with Columbia Hospital in Florida.